Winter Blues and The Tulips Cue – Rouge&Co. If you are anything like me, and suffer from the winter blues, the idea of spring has now replaced your wildest fantasy. I look forward to seeing the 10 foot snow bank at the end of my driveway melt into a small lake, but more than that i want to see my garden beds. I will probably walk by them dozens of times once they are revealed from their wintery slumber, with my view consisting of nothing more than wet dirt, but then one day they will be there. The green fleshy leaves of one of the first flowers to emerge in the spring….my tulips most likely a few less then last year since the squirrels probably helped themselves to a little snack or two but who can blame them. For the history and science oriented fans in the crowd you should check out this link from PBS for the documentary entitled “The Botany of Desire”. When tulips first came on the scene in the flower world in 1634, it triggered what is known as tulip mania. The flower actually gained such popularity that is became expensive enough for the bulbs and flowers to be used as a form of currency. 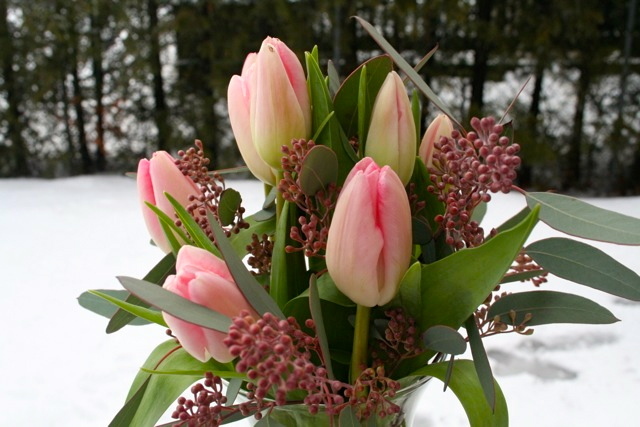 I will refrain from going on and on, but appreciate the tulips they are amazing, and if you want to send a beautiful bouquet or arrangement to someone you love you know how to reach me. 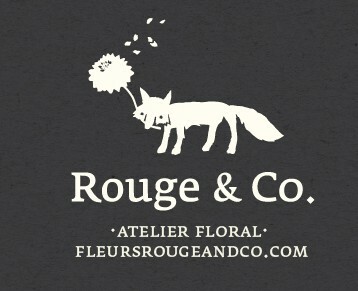 Posted on February 26, 2013 by Rouge&Co.. This entry was posted in Uncategorized and tagged bouquet, Flowers, spring, tulips. Bookmark the permalink.